Can You Pour CLR Down The Drain? CLR - the Calcium, Lime and Rust Remover product by The Cary Company is a liquid formula meant to remove (by dissolving) calcium and lime deposits wherever they may be. It's used mostly in bathtubs, sinks, toilet bowls, shower heads, humidifiers, dishwashers, washing machines and more. It contains no phosphates and is septic safe. According to the Cary Company website, "CLR Power Plumber Pressurized Drain Opener clears clogged or sluggish drains in seconds without the use of harsh chemicals, acids, or lye. Power Plumber is safe to use on all sound plumbing and works on almost any clog including hair, grease, and soap build-up." 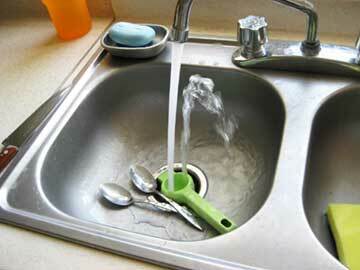 Fill sink with enough water to submerge can's cap. Block overflow with damp rag or sponge and hold firmly. Place can's cap over drain opening and press firmly for one second. Repeat if necessary. What Is CLR Cleaner Good For? Follow the instructions on the bottle of CLR product that you purchase to make sure that you are using it correctly. Is CLR Safe For PVC Pipes? CLR products are safe for all pvc products. It is also safe for copper plumbing and septic tanks. The materials to avoid using CLR on are painted surfaces, aluminum, etched glass, Formica, colored grout, natural stone, brass and copper. Is CLR Safe For Septics? Yes, CLR is safe if you have a septic system in your home. By the time the product reaches the septic system, it's neutralized with water so there is no danger in using CLR. If you have any questions about CLR or other commercial drain cleaning products, call Atlantis Plumbing today at 770-505-8570. We are available 24 hours a day, 7 days a week.